Details: Front gable, raised front porch entry with hiproof windows and trim casings, wood siding and corner boards. 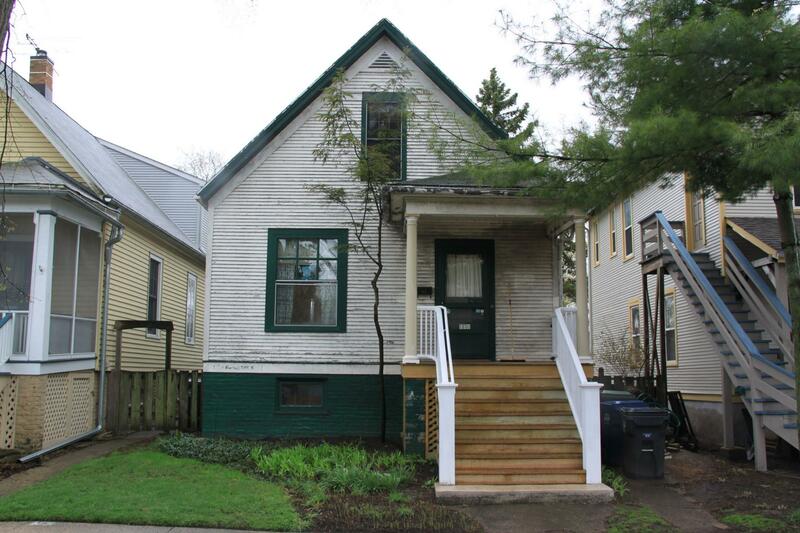 Significance: This gable-roofed structure is an excellent example of the vernacular cottage type built around the turn of the century in Evanston; similar to its neighbor at 1506 Greenwood Street, the house retains its original elements. Historic Features: Gable front form with corner and wood fascia boards, belt course/water course, narrow clapboard siding, raised brick foundation, and front porch with a hipped roof supported on round Doric columns and curved spindled balustrade, double banding set at the second floor lintels. Alterations: Retrofit storms, replacement porch columns and ballustrades. Building Permit Description: 1 sty frame dwelling, 22' wide x 38' long x 26' wide. Exterior Alteration Permits: 15ROOF-0244: Strip front entrance rf and rear shed rf to wd, install felt paper and asph shingles; 13DKPC-0052: Replace existing front por deck, stairs, col.
COA Info: 15PRES-0176: Strip front entrance rf and rear shed rf to wood, install felt paper and asph shingles; 13PRES-0179: Replace front wd por, deck, stairs, post, handrails, balusters, columns, and lattice under deck and stairs, ature of work is rebuilding all of the above with all existing details and dimensions to match existing, except when required by building code.